Reduce the financial impact of purchasing reusable commercial recycling containers. The initial capital outlay of purchasing reusable containers is a heavy burden for many companies, even though they know they could save a lot of money in the long run. To help our customers save capital and reduce the overall cost of their containers, we’ve partnered JB2 Funding, a company with broad experience financing commercial equipment. 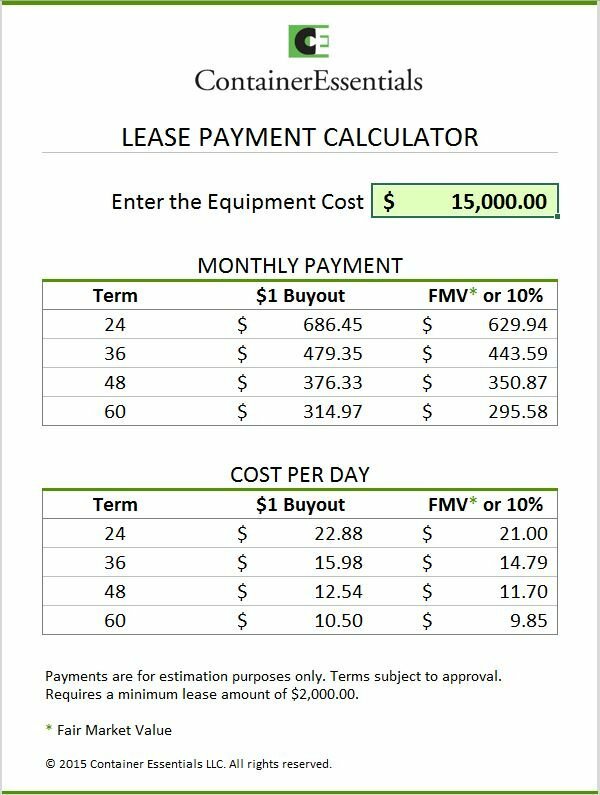 Fill out the form to get immediate access to a leasing calculator to estimate your monthly payment. If you have more questions about leasing commercial recycling containers, contact us today.